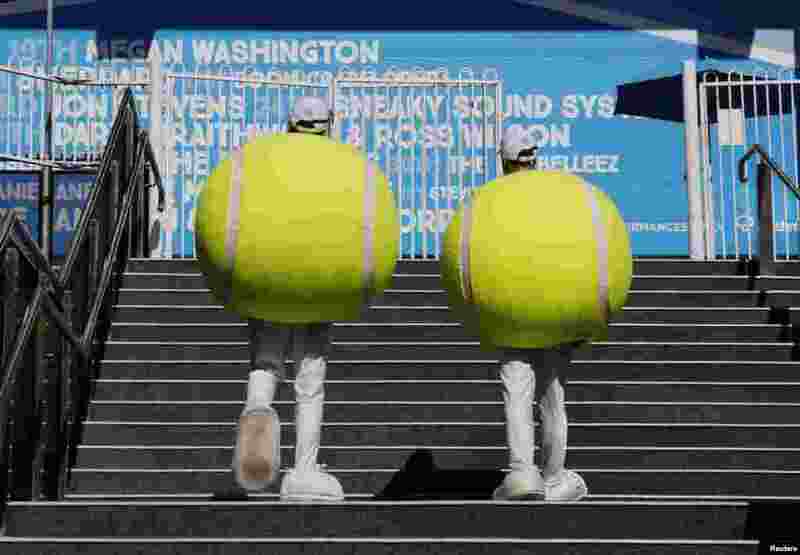 ৫ Entertainers dressed in outfits shaped like tennis balls walk around the Rod Laver Arena at the Australian Open 2015 tennis tournament in Melbourne. 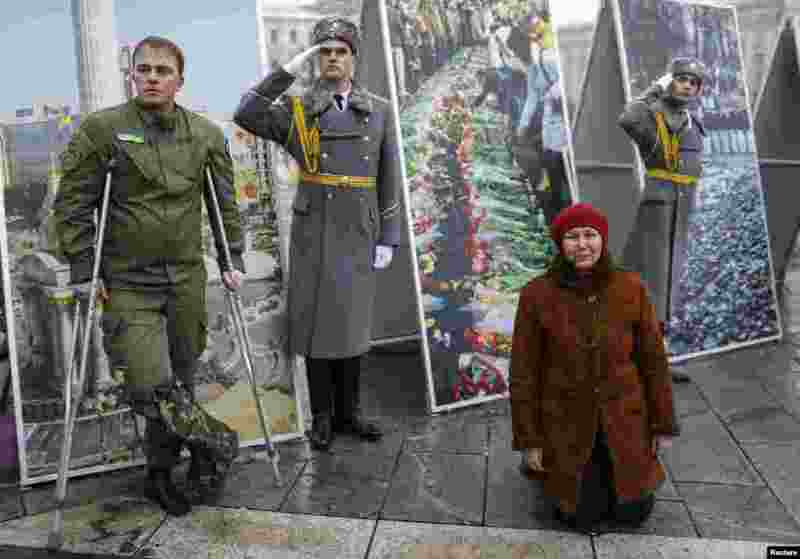 ৬ A woman cries during a funeral ceremony for Georgian Tomaz Sukhiashvili, 35, a member of self-defence battalion "Donbass", who was killed in the fighting in eastern Ukraine, at the Independence Square in central Kyiv. 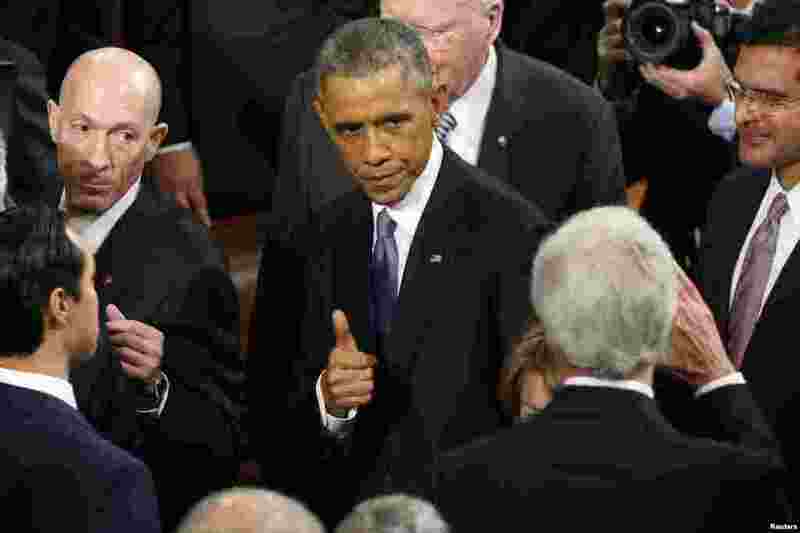 ৭ U.S. President Barack Obama gives a thumbs up to Secretary of State John Kerry (R) as he departs after concluding his State of the Union address to a joint session of the U.S. Congress on Capitol Hill in Washington, Jan.20, 2015. 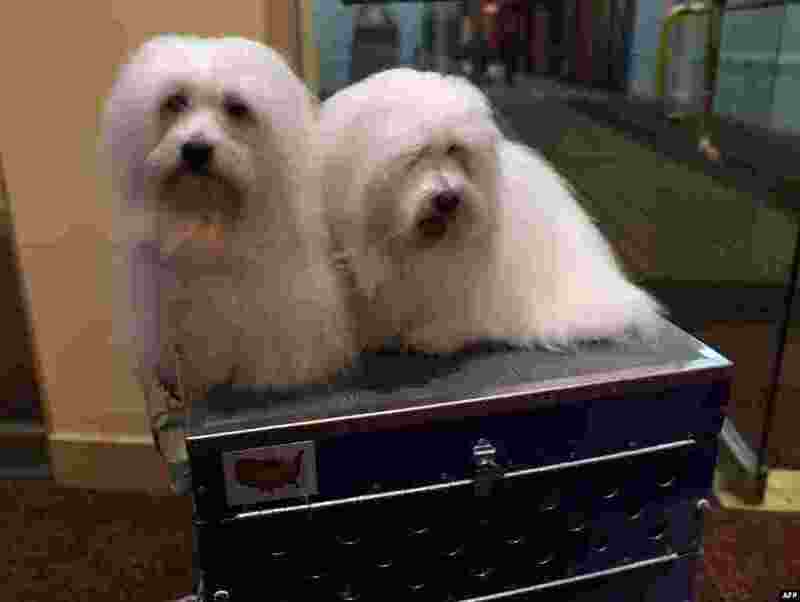 ৮ New breed Cotons de Tulear "Chanel" and "Burberry" are shown at the 139th Annual Westminster Kennel Club Dog Show press conference to promote the two new breeds for the 139th Annual Westminster Kennel Club Dog Show, the 2nd Annual Masters Agility Championships and the Meet the Breeds event in New York.